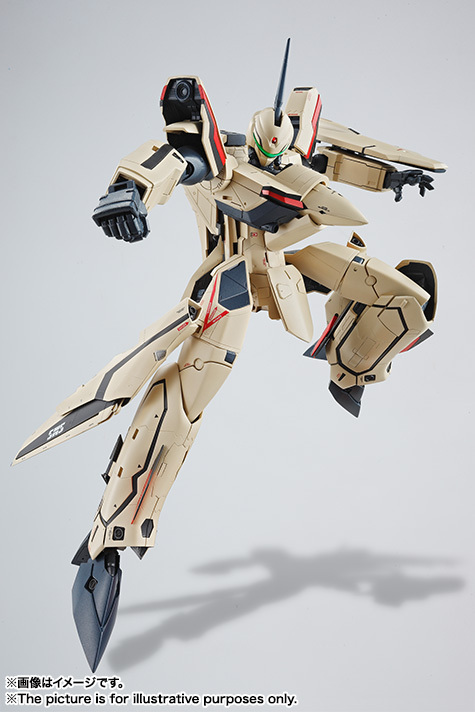 In a surprising move, Bandai is making a full DX Chogokin figure celebrating Isamu Dyson's brief cameo in the second Macross Frontier movie! He came blazing on screen for a few seconds in souped up VF-19 Advance which is meant to resemble the prototype he flew in Macross Plus. 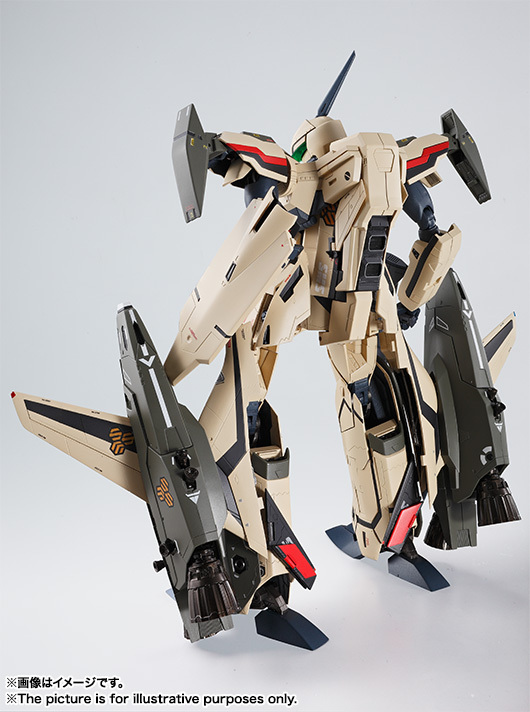 Comes with upgraded VF-25 style Super Packs. 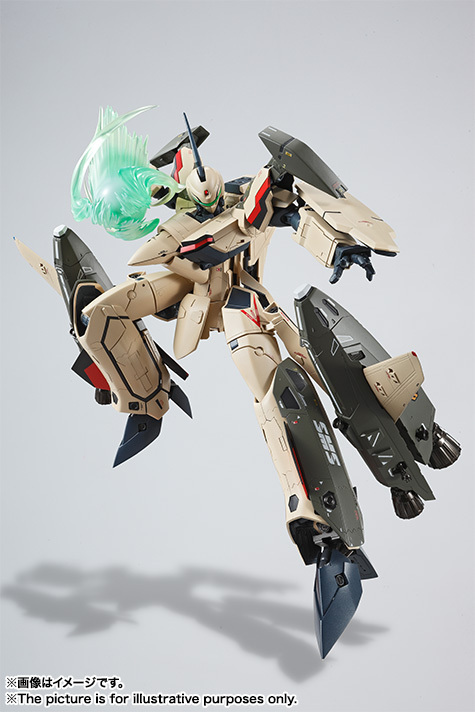 Includes, gun pod, shield, pilot figure, Pin Point Barrier Punch effect parts, and a display stand. 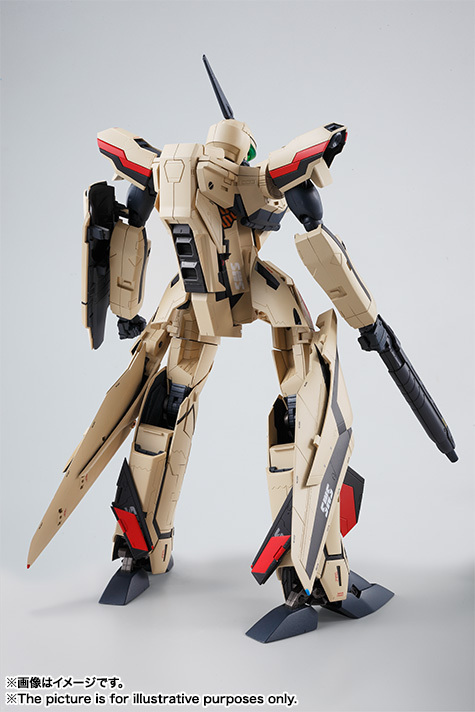 Proportions were overseen by Shoji Kawamori with Hidetaka Tenjin advising Bandai on the tampo markings. 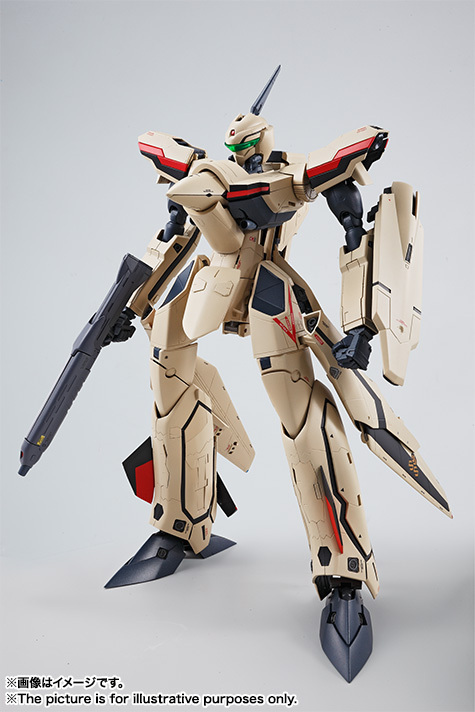 Coming May 2015 for 23,000 yen (without tax). 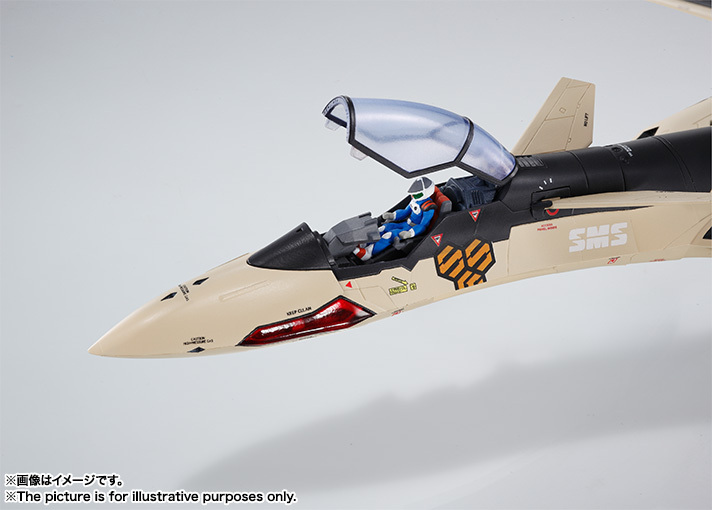 I thought Isamu was flying another yf-29 Durandal, hence why we got the Isamu release(which I just bought). Did I miss something? 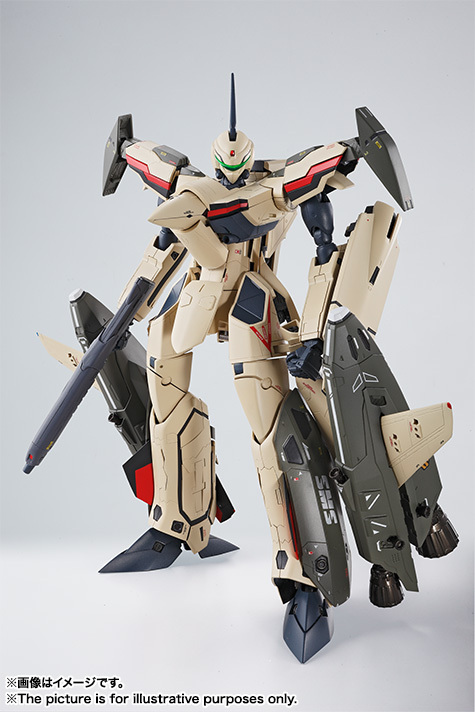 It was a blink and miss shot, but it was definitely a VF-19 in his classic tan colors. This looks amazing, but shame it's so expensive! 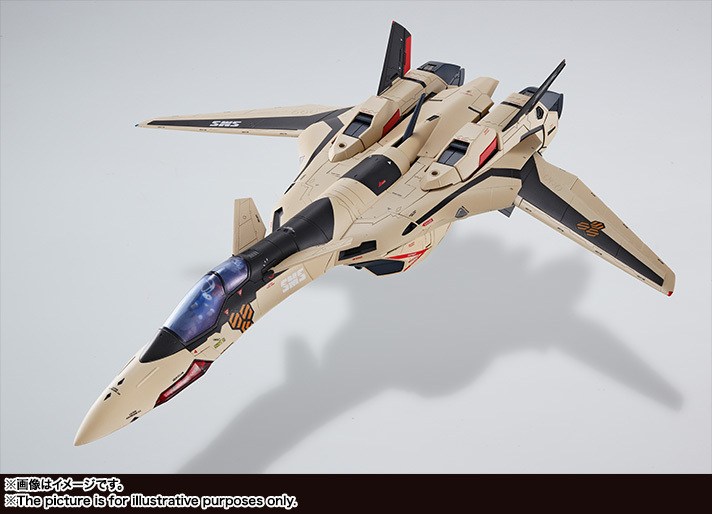 Why can't we have nice, affordable Macross things?!?! 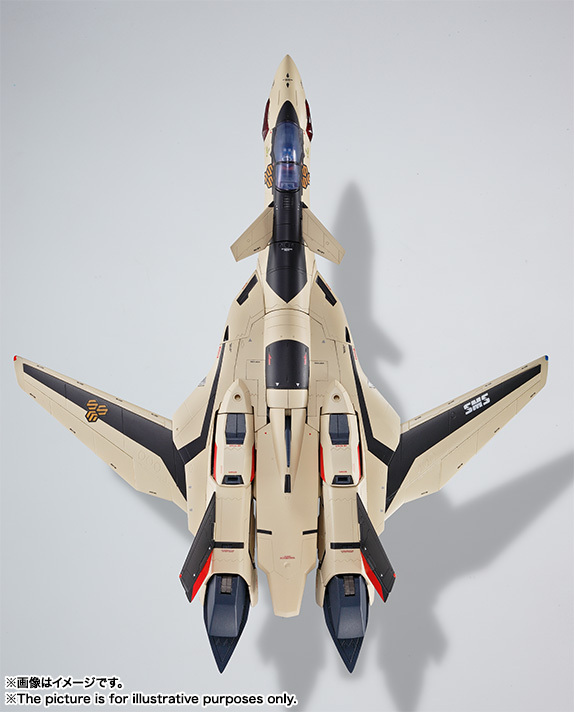 I think some confusion arose when Isamu's YF-29 made its debut in the video game included on the Wings of Goodbye blu ray. In the movie itself he is shown with the VF-19 you see here. 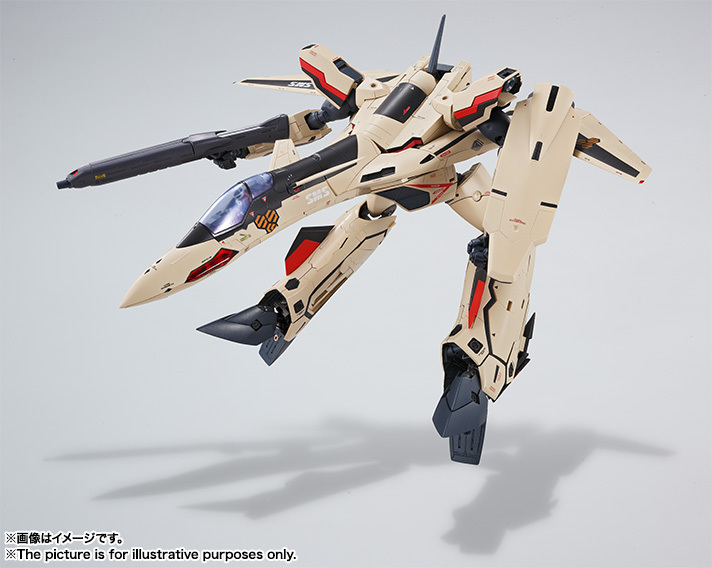 Bandai seems to have found a loophole to produce something very similar to a Macross Plus toy but under a difference license. 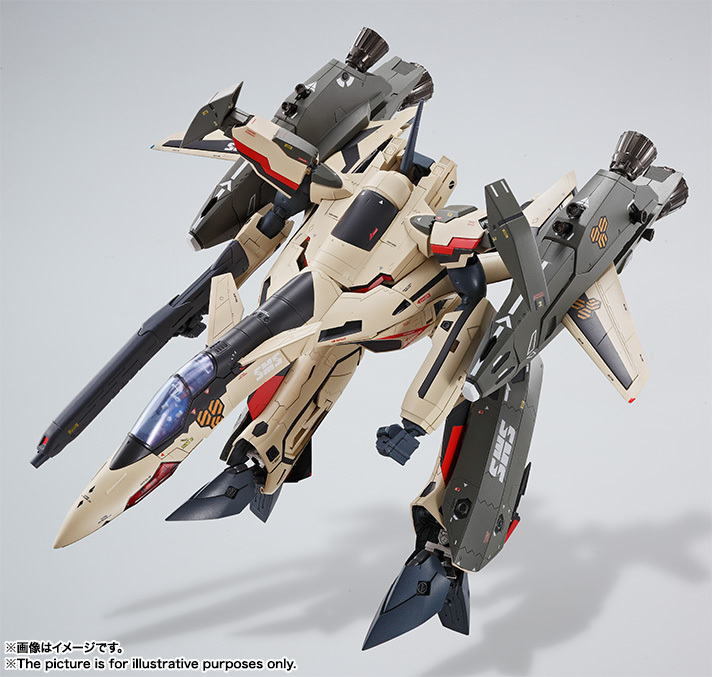 Yeah, when I first saw The Wings of Goodbye, I thought it was the YF-19, but then I saw they were releasing the YF-29, and started to scratch my head. I mean, in the shot in the movie, the 19 and the 29 look almost identical. Especially with the Super packs on the 19. Thanks for clearing it up though!!! 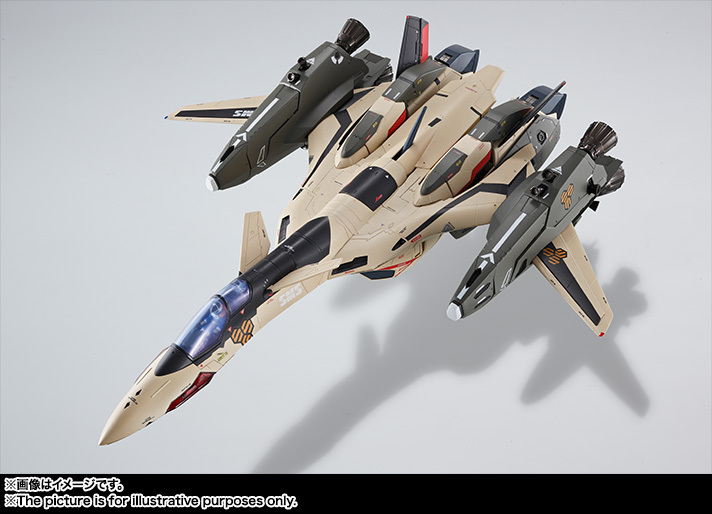 Bandai put up a special article going slightly more in depth with the design and even have some pics of the YF-29 so you can compare them. I'm looking forward to this release. Should give arcadia some stiff competition, especially since they don't have anything at this proposed price point. And super parts to boot.